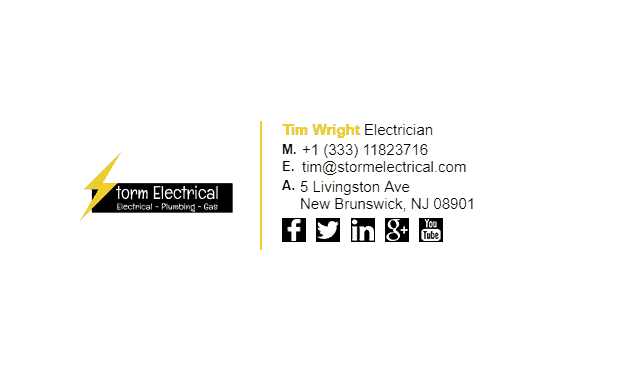 Similar to plumbers, electricians have many loyal customers, that call back time after time when they have a problem. 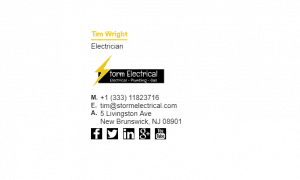 Why not use this to your advantage to get a bigger social following on Facebook and Twitter? 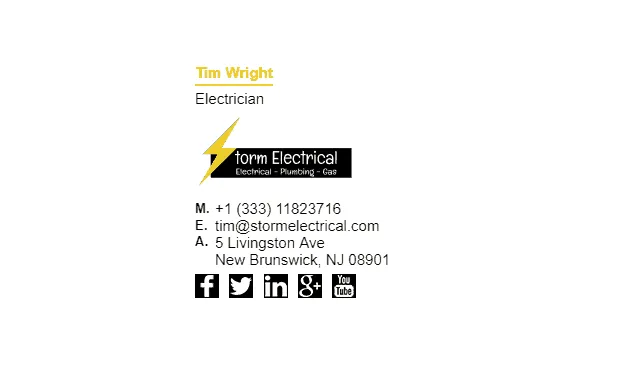 All you have to do is add some social media icons to your email signature and watch the extra follows come in. 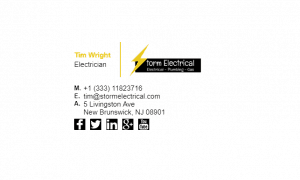 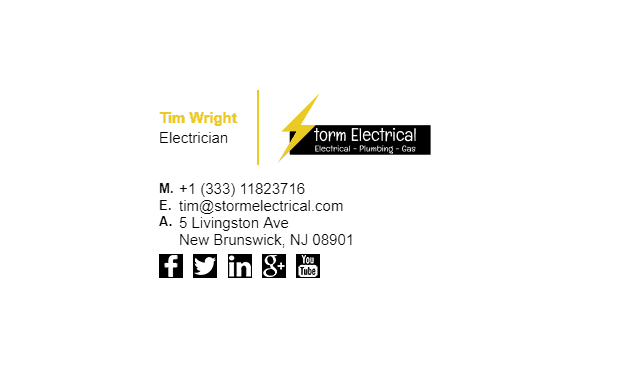 Have a look at our electrician’s email signatures below. 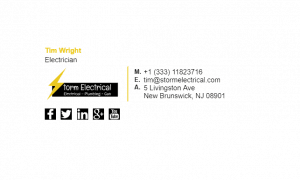 What Should Be Included in an Electricians Email Signature?